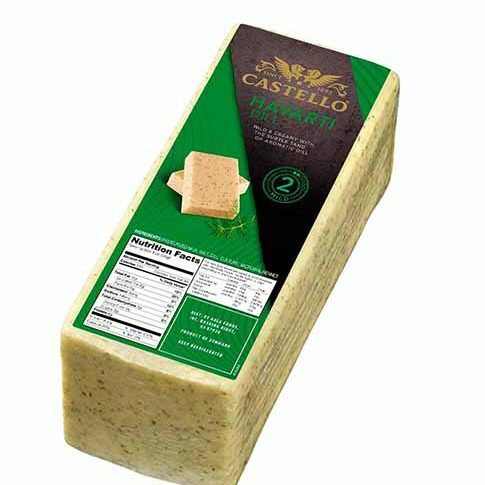 Cream Havarti with Dill-Denmark's Finest/Castello - Zuercher & Co. Pale yellow in color, with small irregular eyes throughout. It has a smooth texture and tangy taste. Havarti is good as a melting cheese and is an excellent sandwich cheese. Seasoned with dill. It is a good source of calcium.